Contains: 1 x Gelish Soak-Off Gel Polish 'Are You Lion To Me?' 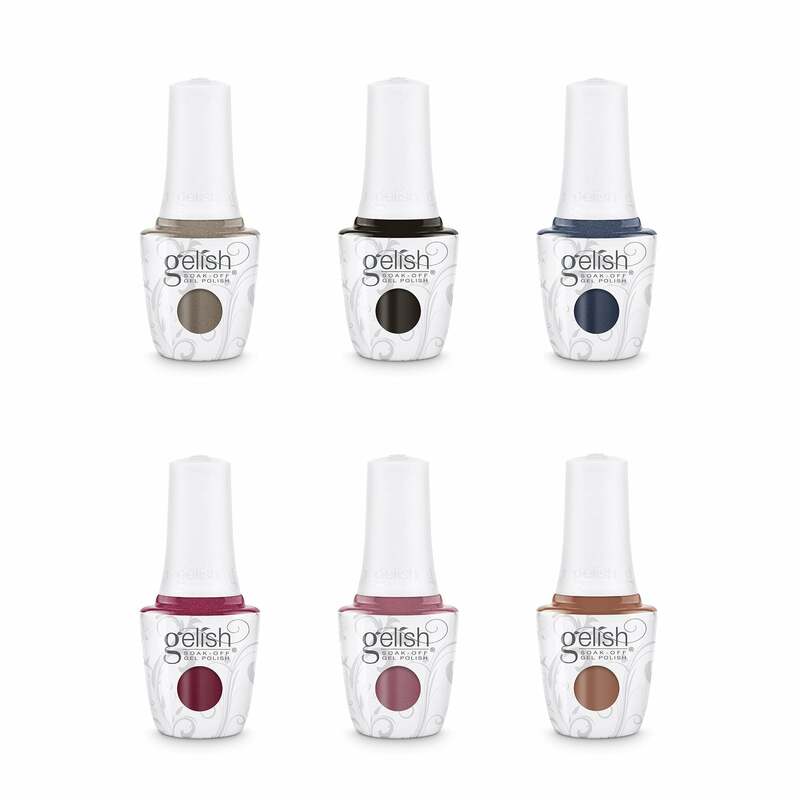 15ml, 1 x Gelish Soak-Off Gel Polish 'Off The Grid' 15ml, 1 x Gelish Soak-Off Gel Polish 'No Cell? Oh Well!' 15ml, 1 x Gelish Soak-Off Gel Polish 'Wanna Share A Tent?' 15ml, 1 x Gelish Soak-Off Gel Polish 'No Sudden Mauves' 15ml and 1 x Gelish Soak-Off Gel Polish 'Neutral By Nature' 15ml. Great service from NPD as always my package arrived early the Gelish colours are great and proving to be very popular.